Roll on – use together with a jade roller as a luxurious eye treatment. Apply a small amount under your eyes and gently roll the eye area with your jade tool to encourage lymphatic drainage. Multitasker – going away on holiday and want to travel light? Skip your usual moisturizer and bring the Rapid Eye Treatment to keep both your face and eyes nourished and supple. To see results you need to apply it twice a day for 28 days. I prefer to glide the eye treatment rather than light patting, in case it damages the capillaries. Sometimes I also apply it above the eyebrows as we tend to forget about this area when we apply our regular moisturizer. “The unusual texture of this treatment is due to the natural peptides, which work better in lower lipid concentrations. These peptides, together with nutritional antioxidants, help to preserve the glowing health of this most-sensitive skin. This innovative product addresses some of the issues we all face, especially lack of sleep. 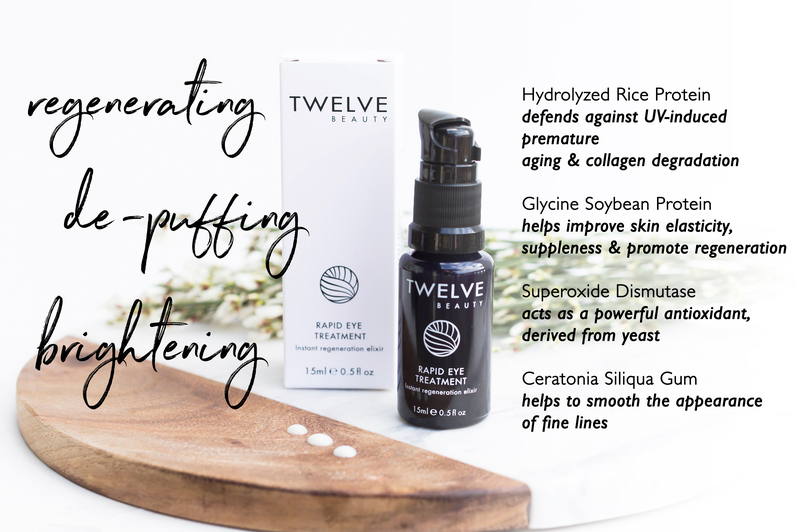 I was determined to formulate a product that would not unnaturally cover up, force or irritate skin into looking better, but to naturally give delicate skin extra support in functioning in a healthier way. I wanted to add something extra apart from what you expect from an eye cream. To me it’s all about improving the skin’s functionality and keeping a healthier barrier. The eye area tends to be 5 to 10 times thinner than other parts of the face and requires extra care. I launched it end of 2013 and became a best seller overnight. 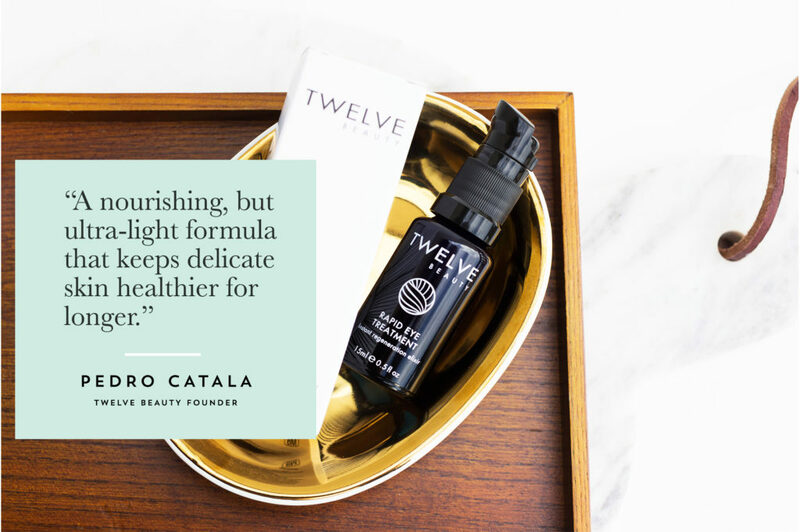 You’ll notice a nourishing but ultra light formula, I only use a low amount of oils, because the natural peptides do not perform properly in richer formulas (high content of oils). The combination of peptides and antioxidants offer protection to the collagen and elastin matrix around the eye area which tends to decrease once we reach the age of 25. In other words, it keeps the skin in this delicate zone healthier for longer. I add a dose of carob gum in a nod to my Mediterranean origins. It is a sustainable tree where I come from and gives a fresher look around the eye area.